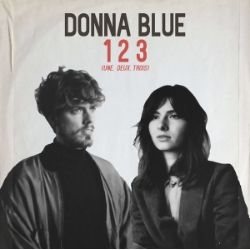 Dutch vintage pop band Donna Blue is back with an exciting new single called ‘1 2 3’, following their first 7” that was released just a few months ago. ‘1 2 3’ is a cheeky French song about the lack of passion in a relationship, inspired by 60’s yé yé movement. Instead of a regular music video, the couple behind Donna Blue chose to create a visual monologue alongside the song. Used to announce the single to the public, it shows intimate footage, strengthening the nostalgic feeling of longing for the perfect relationship.